Now the products are made of STAINLESS STEEL. Stainless steel has a nice weight, and it is an extremely durable metal. It is hypoallergenic, and it will not rust, change color or tarnish. 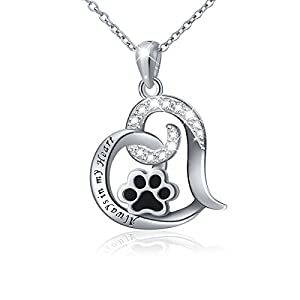 ♥Love heart pendant necklace with cute puppy paw for pet lover. 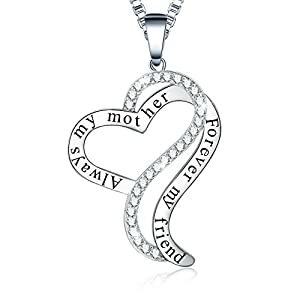 Great gifts for valentines-day, mothers day. ♥Nickel-free, Lead-free, Cadmium-free and Hypoallergenic, Long Time Wearing Keeps You a Good Health. 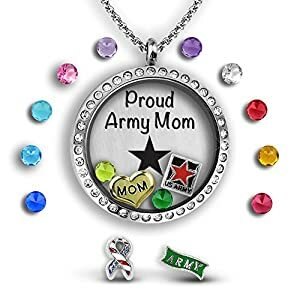 Proud Military Moms – show the world you are proud of your soldier in the Army with a complete locket set full of military charms. 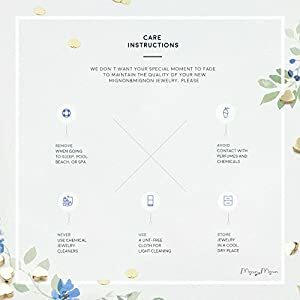 COMPLETE GIFT SET: Premium Magnetic Seal Locket with a Crystal Embedded Finish | 22 inch Stainless Steel Rolo Chain | Designer Original Exclusive Engraved Plate | 4 Floating locket Charms | Full set of 12 Birthstone Color Crystal Charms – Ensconced on a bed of black velvet in our elegant keepsake jewelry box. f you are looking for exceptional quality DON’T BE FOOLED BY IMITATIONS. 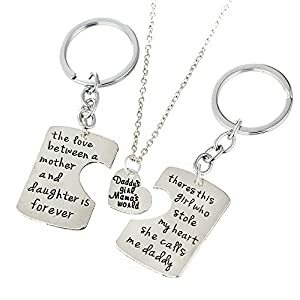 There are many cheap charm lockets available, but none will compare to the quality and workmanship of the original themed floating locket brand, A Touch of Dazzle. 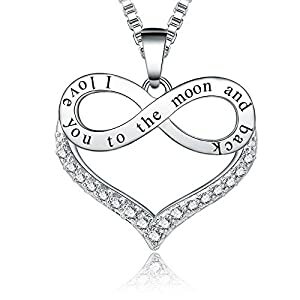 ♥PERFECT ELEGANT SIZE♥ – Polished to a brilliant shine, this graceful pendant measures 28mm wide x25mm height and suspends along an 18″+1.5″ extender box chain that secures with a spring clasp. This length works great for just about everyone, you can’t go wrong with this length. The stylish design complements any look and makes a great fashion accessory! ♥QUALITY GUARANTEE♥ – Ado Glo Jewelry pride ourselves on using only the finest craftsmanship for our designs. All Ado Glo products are quality made and are protected from tarnishing. Each piece is lead-safe, nickel-safe and cadmium-safe. ♥PERFECT ELEGANT SIZE♥ – Polished to a brilliant shine, this graceful pendant measures 23.5mm wide x 30mm height and suspends along an 18″+1.5” extender box chain that secures with a spring clasp. This length works great for just about everyone, you can’t go wrong with this length. The stylish design complements any look and makes a great fashion accessory!